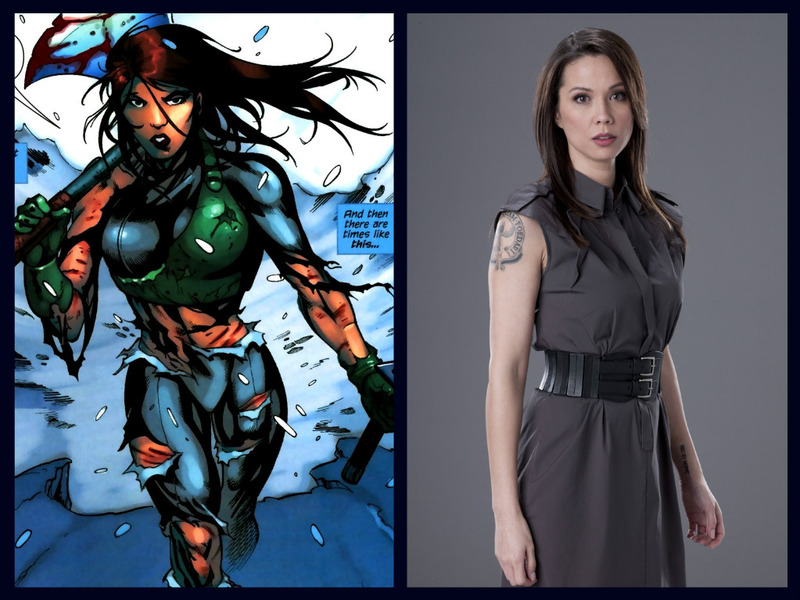 Ollie is going to have to deal with another daughter of Ra's al Ghul as Lexa Doig has been cast to play Nyssa's half-sister, Talia, in a recurring role. In the comics, Talia is more of a 'Batman' series character butting heads with the Dark Knight, being his on-again, off again lover, birthing their love child and future Robin, Damian Wayne. She's a highly skilled hand-to-hand combatant and trained in various martial arts. She also holds several Master's degrees. It hasn't been revealed what she's up to in Star City but is described "as an elite warrior who doesn't pick sides but rather creates her own." As for Doig, she's a veteran of television sci-fi having appeared in Continuum, Andromeda, V, The 4400, and Stargate SG-1. The Toronto native was born to a Filipina mother and Irish-Scottish father and became inspired to act from her frequent visits to their local theater. She's been acting professionally since the age of 19. Doig will first appear in episode 10 this season. Episode 5 of Arrow airs tonight on the CW at 8p.m. Arrow is new Wednesdays at 8/7c on The CW, and available next day on The CW App!